When creating a portfolio, it may be human nature to try to win big, whether by attempting to guess the next hot investment or time the markets. However, over the years, we’ve seen that what was last year’s winner can become this year’s under-performer, and the timing of these ups and downs is unpredictable. Looking over the last 10 years of asset class returns appears to show as many sector ups and downs as a roller coaster. Understanding the ebbs and flows of the market without reacting to them impulsively is why asset allocation is what many investment professionals believe is key to what can otherwise feel like a wild ride. Having a predetermined ratio of where you’ve divvied up your investments, and sticking to it, can be challenging, but it can help you avoid making rash decisions with your investments in response to the natural ups and downs of the market. Asset allocation is an easy concept to grasp, but much harder to practice in reality when emotions are at play. On its face, divvying up your investments according to your own personal risk tolerance and long term goals seems simple, but sticking to that plan in the face of changing conditions is where it can be an emotional minefield for some investors. As the year rolls forward, some areas of the market inevitably will produce great returns, and some others will underperform. It’s incredibly tempting to throw your allocation out the window to double down on the winners and unload the losers as quickly as possible. While many people see a hot sector of the market and act quickly to buy more shares when it’s at a historical high, or panic when the market is low and unload some unprofitable sector, this move can be costly to your long term investment success. It gives in to our very nature of greed and fear instead of seeing our investments with clear eyes that seek to balance risk with reward. Rebalancing can feel highly counterintuitive, but it keeps us grounded when market swings bring with it the emotional cues that tempt us into thinking we can ride the highs just to the point of diminishing returns and know exactly when to pull out. This is where it gets challenging for most people. It may feel like you’re “trimming your winners,” but think of it this way - you’re not only capitalizing on your profits, but you’re getting an investing deal if you successfully buy low and sell high. Many investment professionals who adhere to this strategy do so in an effort to reduce your overall risk while working to increase your overall return. Having a plan for your asset allocation ahead of time provides a framework for your strategy that keeps you anchored when you need it most. While a general rule of thumb is to examine your portfolio on a yearly basis, you can set a cadence that feels right for you. Overall, sticking to a regular schedule will help you act rationally and balance out trading costs that are associated with rebalancing. It will also assist you in strategically factoring in the costs of rebalancing with any taxes on the gains you might have made. 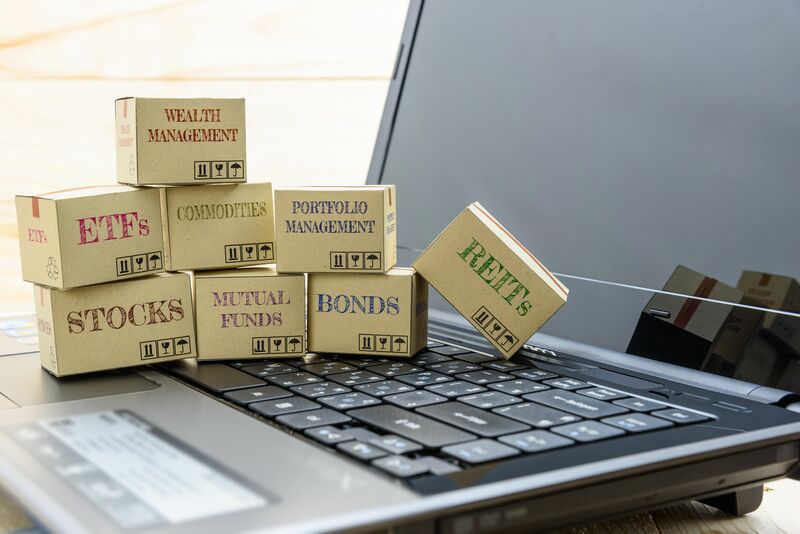 Since you’ve taken steps to calculate your risk tolerance, and stacked your assets accordingly, you can examine which portions of your portfolio have performed well. When possible, you will benefit from selling while they’re high and profitable. Then, you can use that profit to buy any asset classes that have underperformed, and rebalance back to your starting ratio. An advantage to setting a date on the calendar for an annual review is that this date, while feeling arbitrary at first, is another mechanism to prevent you from acting emotionally and buying or selling certain assets in response to personal whims. Having structure and discipline is key to avoiding the most common emotional temptations that the average investor will invariably face. The information contained in herein is for illustrative purposes only. The performance numbers displayed herein are not representative of our firm’s performance, and we do not disclose client or firm performance information for advertising purposes. All securities are subject to risk of loss. Performance information herein may have been adversely or favorably impacted by events and economic conditions that will not prevail in the future. Portfolio risk should be determined on a client-by-client basis and discussed with your advisor. Past performance is not indicative of future results.This information is not intended as and should not be used to provide investment advice and is not an offer to sell a security or a recommendation to buy a security. This summary is based exclusively on an analysis of general market conditions and does not speak to the suitability of any specific proposed securities transaction or investment strategy. Judgement or recommendations found in this report may differ materially from what may be presented in a long-term investment plan and are subject to change at any time. This report’s authors will not advise you as to any changes in figures or views found in this report. Investors should consult with their investment advisor to determine the appropriate investment strategy and investment vehicle. Investment decisions should be made based on the investor’s specific financial needs and objectives, goals, time horizon and risk tolerance. Indexes are included as a standard by which to measure a particular investment or group of investments. Investors cannot invest directly in an index. Index returns do not reflect any fees, expenses, or sales charges. Returns are based on price only and do not include dividends. Except for the historical information contained in this report, certain matters are forward-looking statements or projections that are dependent upon risks and uncertainties, including but not limited to such factors and considerations such as general market volatility, global economic risk, geopolitical risk, currency risk and other country-specific factors, fiscal and monetary policy, the level of interest rates, security-specific risks, and historical market segment or sector performance relationships as they relate to the business and economic cycle. The information contained in this report has been gathered from sources we believe to be reliable, but we do not guarantee the accuracy or completeness of such information.